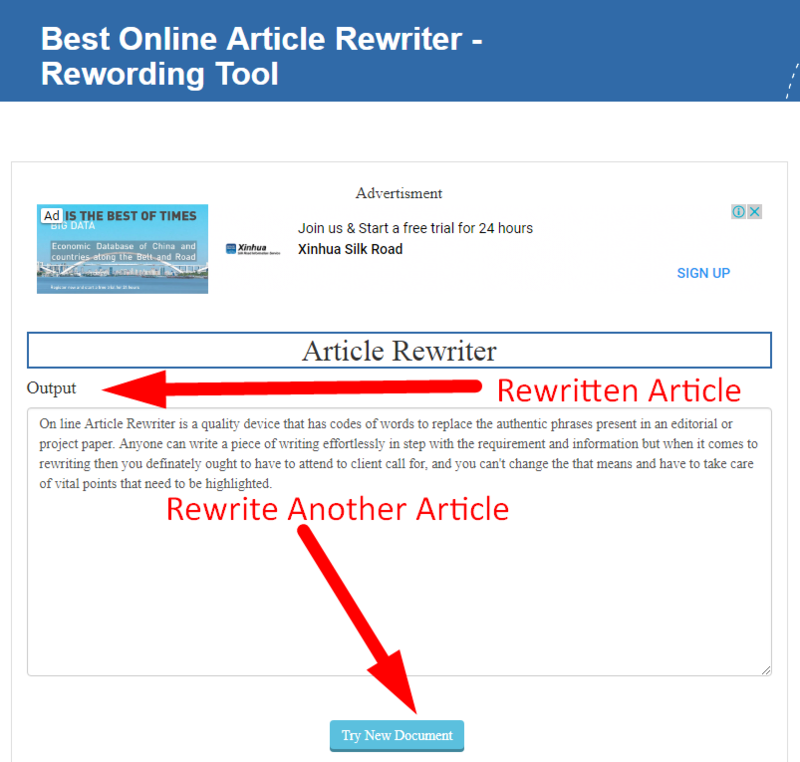 Why use free article rewriter tool? If you do not know how to rewrite an article or research paper and don't have enough time to do so it is the time-consuming and difficult procedure. 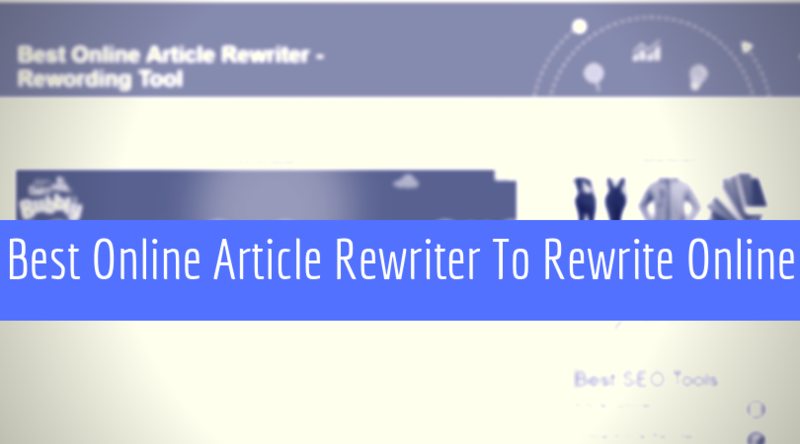 This rewrite tool will help you rewrite your contents according to your requirements. It is totally free of cost and gives excellent result and offered by the SEO Magnifier. If you are in the online field and looking for an opportunity to earn from this field then it is very difficult due to high competition for these opportunities. The professional paraphrasing tool saves a lot of time money and effort and provides you quality work that will help you to earn in the online field. How does article rewriting tool work? There is no need to wait for days or weeks as same as many online companies do. You get your results instantly and of high quality. 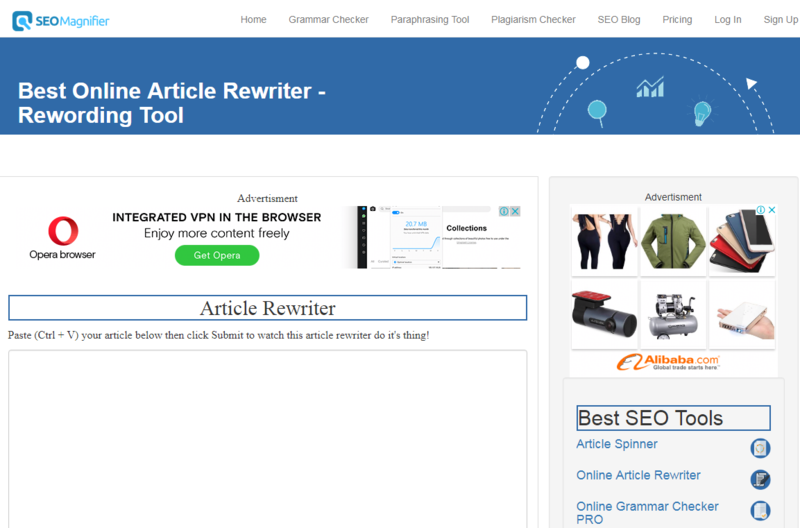 How to rewrite an article using SEO Magnifier's essay rewriter? It is very easy to use online text spinner offered by SEO Magnifier. 1. 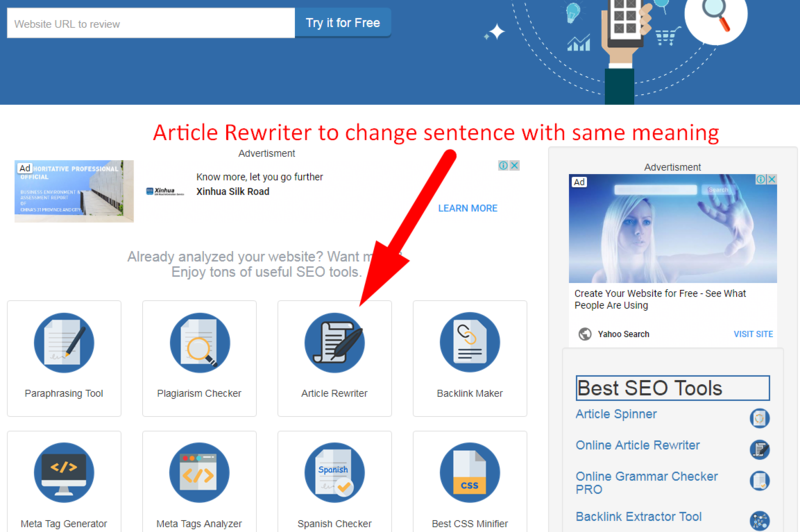 Go the home page and select the "article rewriter tool" to change the sentence with the same meaning. 2. Open the "sentence rewriting generator" tool to use the tool. 3. Copy your article and paste into the box. 4. Solve the Google ReCaptcha. 5. 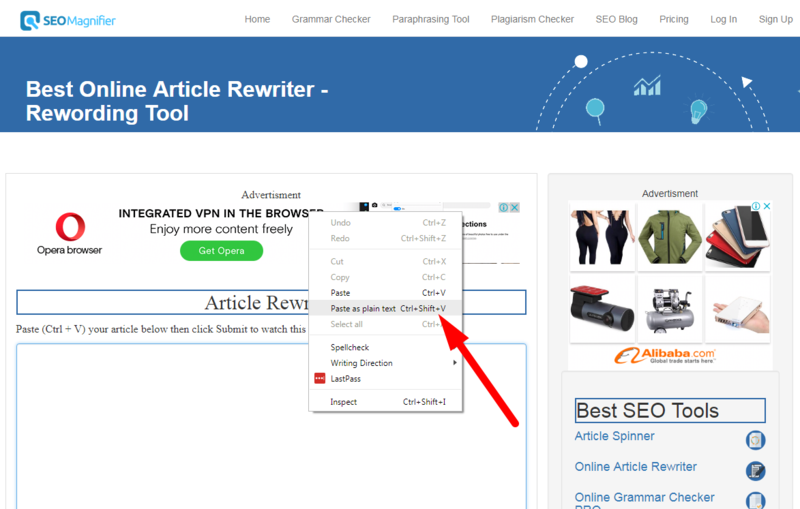 Press the submit button to rewrite the content online. 6. Just clicking on the "submit" option. It will start analyzing the article and rewrite it and give you the result. Finally, the resulted article will be free of plagiarism and of high quality that will help you to get more views in search engines as high-quality articles are good for SEO. SEO Magnifier is an SEO station. Therefore, they always try to provide the best SEO tools to help you to rank SERP. Note: However, you must analyze your writings for grammar errors and mistakes. So, you can use online grammar checker pro for grammar and plagiarism analysis using"online advanced plagiarism checker" by SEO magnifier to avoid spamming.